Prosecutors swap court time for international jet travel. 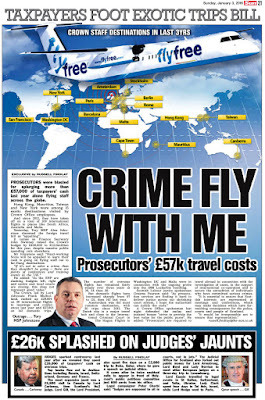 SCOTLAND’S Prosecutors based in Edinburgh at the Crown Office & Procurator Fiscal Service (COPFS) - are now spending as much time in the air jetting between international destinations than chasing some of Scotland’s biggest crooks, tax dodgers, gangsters & serial offenders. 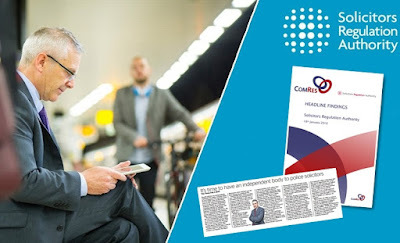 Figures obtained by the media show the Lord Advocate, Frank Mulholland and his team of staff jetting off to 39 international destinations and choosing air travel over other modes of transport for 143 domestic UK flights – all funded by public cash. Hong Kong, Mauritius, Taiwan South Africa, Australia, Malta, San Francisco, and New York are listed among the international destinations visited by Crown Office employees on the taxpayer air junket ticket. UK Domestic flights 2012/13: Aberdeen 2, Benbecula 2, Birmingham 1, Edinburgh 9, Glasgow 8, Inverness - Airport 2, Kirkwall 1, Lerwick, Shetland 1, London City 34, London Gatwick 7, London Heathrow 28, Manchester 2, Total 97. 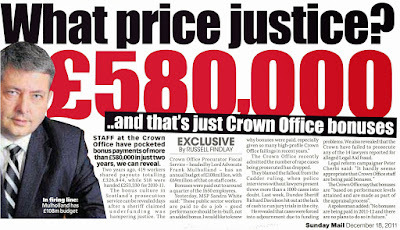 The growing air junket habit at the Crown Office comes after the media exposed a bonus culture racket among Scots prosecutors – revealing Crown Office staff share bonus payoffs of more than £580,000 in just two years. 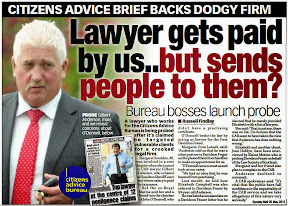 Yet, every year, the Edinburgh based Crown Office - which costs taxpayers a staggering £112.5 million every year – issues regular press releases claiming hard up prosecutors are busy chasing hundreds of criminal gangs and thousands of unknown gangsters and their ‘professional’ advisers – who hardly ever see the inside of a court room. 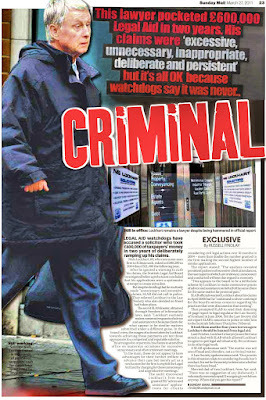 Recently the Crown Office has come in for criticism after a number of high profile and expensive prosecution flops which allowed criminals to walk free after prosecutors failed to do their job. 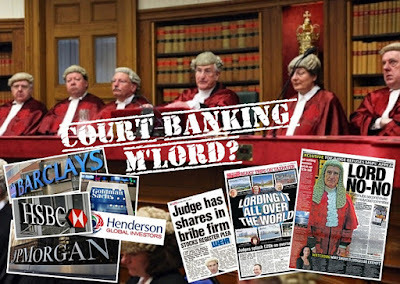 And in a number of cases presented by the Crown Office as successes for justice - a deeper look into the facts of the prosecutions and their outcomes revealed plea bargains and proceeds of crime seizures dwarfed by vast amounts of publicly funded legal aid paid to crooks. Last week, BBC news reported a Perth drugs dealer had been allowed to keep £300K of his drugs profits - after high flying prosecutors cut a plea bargain deal. The Crown Office and Lord Advocate Frank Mulholland have also been hit with criticism over their refusal to prosecute the driver of the Glasgow bin lorry tragedy which resulted in six ‘preventable’ deaths. Another similar case where Prosecutors were criticised for a failure to act involved the deaths of two students, killed by a driver of a Range Rover in Glasgow in 2010. The Crown Office dropped their attempt to prosecute the driver in 2013. Both cases are now the subject of bids to begin private prosecutions. 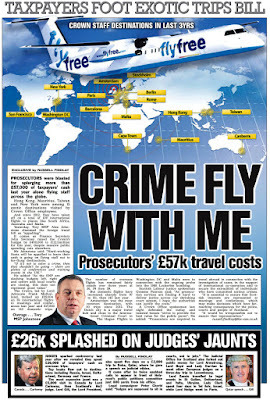 PROSECUTORS were blasted for splurging more than £57,000 of taxpayers' cash last year alone flying staff across the globe. Hong Kong, Mauritius, Taiwan and New York were among 15 exotic destinations visited by Crown Office employees. And since 2012, they have taken off on a total of 109 international flights to places like South Africa, Australia and Malta. Yesterday, Tory MSP Alex Johnstone slammed the foreign travel bill as "appalling". It comes as Finance Secretary John Swinney raised the Crown's budget by £400,000 to £112.5million for this year, despite massive public spending cuts elsewhere. Mr Johnstone said: "Hard-working Scots will be appalled to learn their cash is going on flying staff out to far-flung destinations. "If it's not to solve a crime, then they shouldn't be going — there are plenty of conferences and training events in the UK." He added: "As the SNP are slashing budgets left, right and centre and local courts are closing, this does not represent good value." 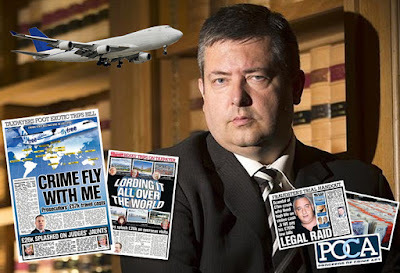 The Crown, led by Lord Advocate Frank Mulholland, racked up £29,504 on 39 international flights to meetings and conferences last year and £27,603 on 143 domestic trips. The number of overseas flights has remained fairly steady over three years at 36, 34 then 39. But domestic flights have increased sharply from 97 to 131, then 143 last year. Amsterdam was the most common destination, with 30 trips since 2012. The Dutch city is a major travel hub and close to the International Criminal Court in The Hague. Flights to Washington DC and Malta were in connection with the ongoing probe into the 1988 Lockerbie bombing. 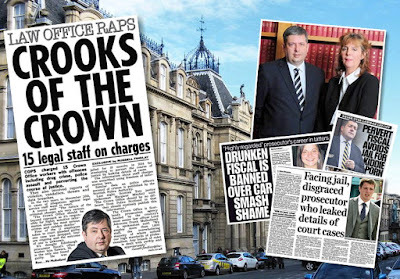 Scottish Labour justice spokesman Graeme Pearson said: "As prosecution services are finding it hard to deliver justice across our shrinking court system, I hope the authorities can justify the costs." A Crown Office spokesman last night defended the outlay and insisted bosses "strive to provide the best value for the public purse". He added: "Prosecutors are required to travel abroad in connection with the investigation of cases, in the support of international co-operation and to secure the extradition of individuals who have committed serious crimes. "It is essential to ensure that Scottish interests are represented at meetings and conferences, which may make decisions which have far reaching consequences for the police, courts and people of Scotland. "It would be irresponsible not to ensure that representation." 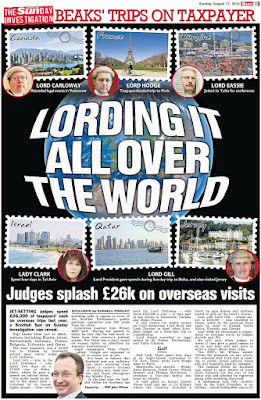 JUDGES sparked controversy last year after we revealed they spent £26,000 of taxpayers' cash on overseas trips. Top beaks flew out to destinations including Russia, Israel, Switzerland, Germany & France. 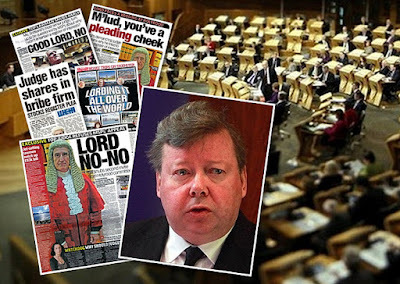 The most expensive jaunt was a £5,8000 visit to Canada by Lord Carloway, then Scotland's No2 judge. Lord Gill, the Lord President also spent five days on a £2,800 trip to Doha, Qatar, where he gave a speech on judicial ethics. It came after he twice snubbed calls to appear in front of Holyrood's public petitions committee just 800 yards from his office. 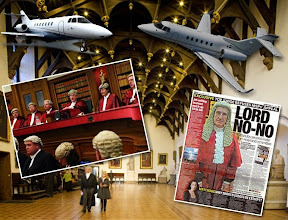 Legal campaigner Peter Cherbi said: "Judges are supposed to sit in courts, not in jets." 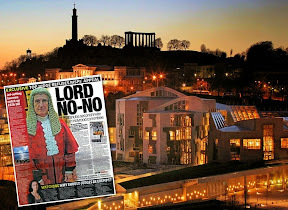 The Judicial Office for Scotland also forked out public money for Lord Armstrong, Lord Boyd and Lady Dorrian to meet other European judges on a three-day trip to Luxembourg. Lord Eassie travelled to legal events in St Gallen, Switzerland, and Yalta, Ukraine. Lady Clark spent four days in Tel Aviv, Israel, while Lord Hodge went to Paris. Anti-transparency judge demands MSPs foot bill for rain travel & meals. 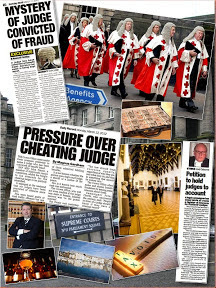 SCOTLAND’S former top judge has demanded taxpayers pay his dining expenses & travel to Edinburgh - after he was forced to face MSPs over a three year Scottish Parliament investigation of plans to create a register of judges’ interests as called for in Petition PE1458: Register of Interests for members of Scotland's judiciary. 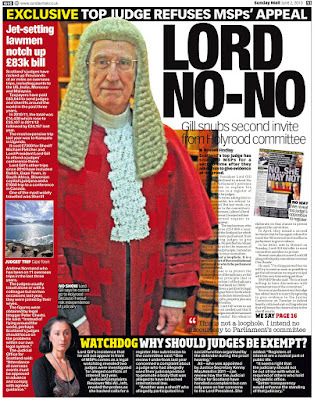 Lord Brian Gill (73) - who twice refused to attend earlier hearings of the Scottish Parliament’s Public Petitions Committee who are considering proposals to require judges to register their interests – submitted a £225.05 claim for first class return rail fare from London, a £19.50 claim for taxis and a £23.20 claim for a meal the former Lord President treated himself to the night before he finally showed up to face MSPs at Holryood on 10 November, 2015. 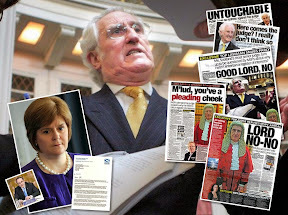 Gill – who was dubbed “Lord No-No” for his refusals to give evidence to MSPs on judges’ undeclared links to big business, secret criminal records & hidden wealth, handed the claim to the Scottish Parliament after a stormy session at the Scottish Parliament - where the former top judge demanded MSPs halt their public debate on the judiciary’s interests and close down a long running public petition calling for transparency on judges’ wealth – which is backed by both of Scotland’s independent judicial investigators. As the petition was debated at Holyrood in the Lord President’s absence, it was revealed Lord Gill billed taxpayers for a five day state visit to Qatar. 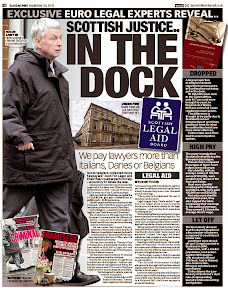 The top judge also travelled to numerous other international destinations – all charged to taxpayers. 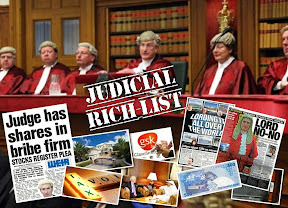 An investigation by the Scottish Sun newspaper also revealed Scotland's top judges spent £26,000 on thirty three international trips funded by taxpayers - including journeys to destinations such as Russia, Israel, Switzerland,Germany, France, Bulgaria, Lithuania. 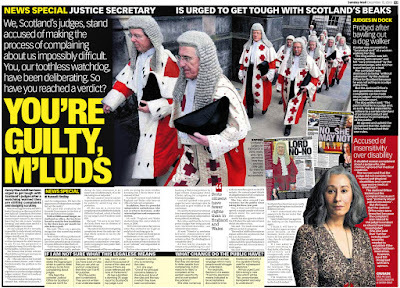 Previously, Lord Gill refused to give evidence to MSPs on their probe of the petition, instead, the top judge sent a series of letters to MSPs - demanding the judiciary remain exempt from the public’s expectation of transparency in Government and those in public life. 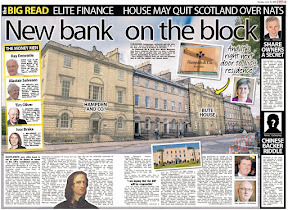 By RUSSELL FINDLAY, Scottish Sun. A SENIOR judge is being challenged over claiming first class rail travel to a Scottish Parliament grilling. 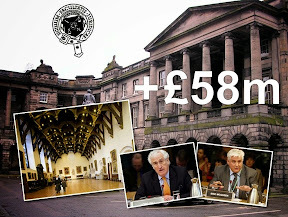 Lord Gill, 73 — who stood down from his £220,655-a-year post as Lord President in May — has been asked by MSPs to explain a £267.75 expenses bill. It covers a £225.05 first class return rail fare from London, £19.50 on taxis and £23.20 for a meal the night ahead of appearing before Holyrood’s Public Petitions Committee last month. 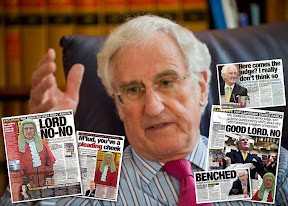 After twice snubbing the committee while Lord President, Lord Gill spoke against law journalist Peter Cherbi’s petition for a register of judges’ business, financial and personal interests. 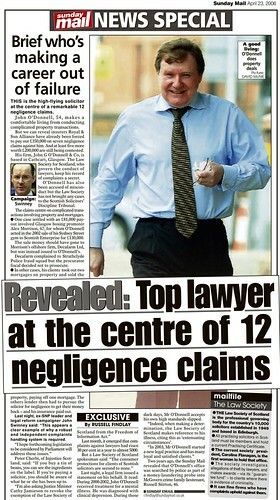 Lord Gill’s successor has still to be appointed. But we told last month, left, how the new Lord President will not be called before the committee. 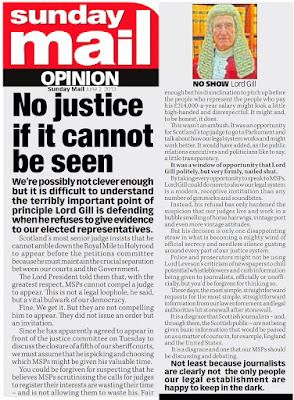 During tough exchanges between the ‘retired’ judge and MSPs, Lord Gill got into arguments with members of the Petitions Committee, reflecting his underlying aggressive tone at being hauled before MSPs he twice refused to meet. 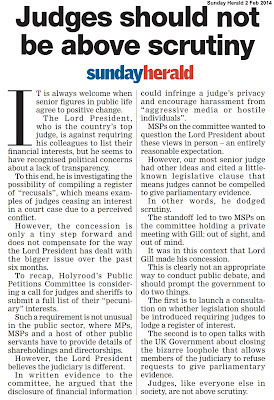 In an angry exchange with MSP Jackson Carlaw, Lord Gill demanded to control the kinds of questions he was being asked. 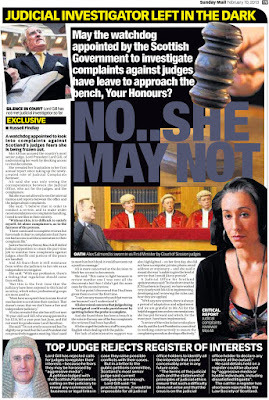 Replying to Lord Gill, Mr Carlaw said he would ask his own questions instead of ones suggested to him by the judge. 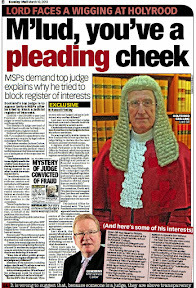 And, in responses to independent MSP John Wilson, Lord Gill dismissed media reports on scandals within the judiciary and brushed aside evidence from Scotland’s independent Judicial Complaints Reviewers – Moi Ali & Gillian Thompson OBE – both of whom previously gave evidence to MSPs in support of a register of judges’ interests. 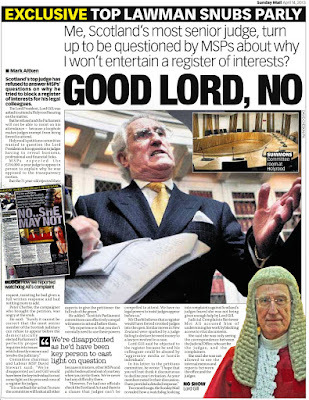 Facing further questions from John WIlson MSP on the appearance of Lord Gill’s former Private Secretary Roddy Flinn, the top judge angrily denied Mr Flinn was present as a witness – even though papers prepared by the Petitions Committee and published in advance said so. 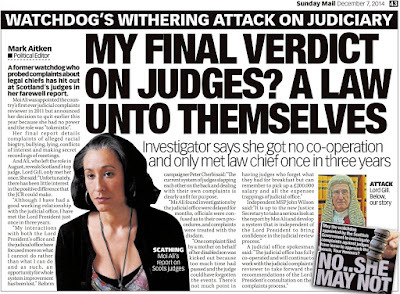 The top judge barked: “The agenda is wrong”. 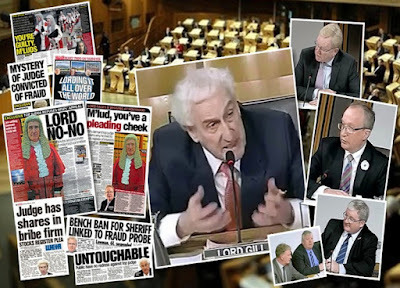 And, in a key moment during further questions from committee member Mr Wilson on the integrity of the judiciary, Lord Gill angrily claimed he had never suspended any judicial office holders. The top judge was then forced to admit he had suspended judicial office holders after being reminded of the suspension of Sheriff Peter Watson. Several times during the hearing, the retired top judge demanded MSPs show a sign of trust in the judiciary by closing down the petition. During the hearing Lord Gill also told MSPs Scotland should not be out of step with the rest of the UK on how judges’ interests are kept secret from the public. 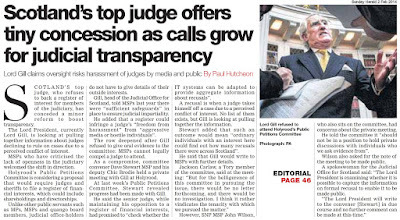 Questioned on the matter of judicial recusals, Gill told MSPs he preferred court clerks should handle information on judicial interests rather than the details appearing in a publicly available register of interests. 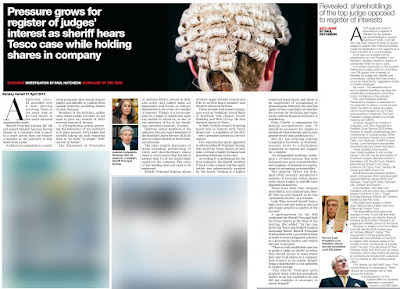 Lord Gill also slammed the transparency of judicial appointments in the USA - after it was drawn to his attention judges in the United States are required to register their interests. 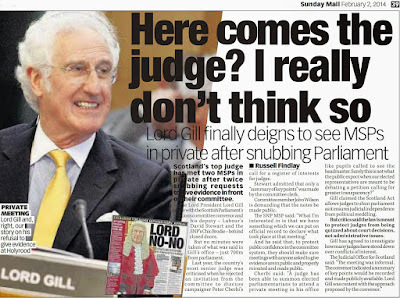 In angry exchanges, Lord Gill accused American judges of being elected by corporate and vested interests and said he did not want to see that here. 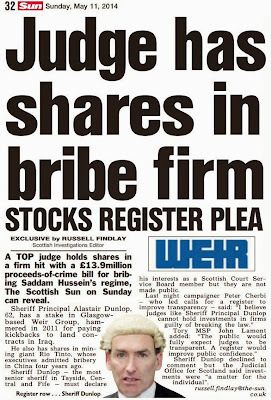 However, the situation is almost identical in Scotland where Scottish judges who refuse to disclose their interests, are elected by legal vested interests with hidden links to corporations. 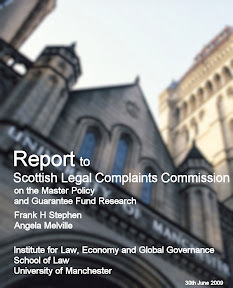 Scotland’s first ever Judicial Complaints Reviewer (JCR) - Moi Ali gave backing to the the judicial transparency proposal during a must watch evidence session held at Holyrood in September 2013. 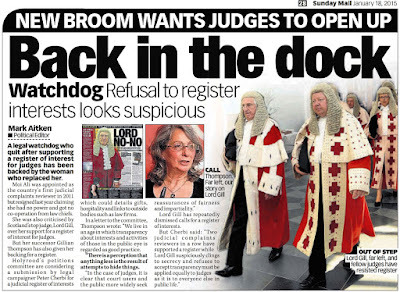 Scotland’s current Judicial Complaints Reviewer Gillian Thompson OBE also backed the petition and the creation of a register of judicial interests during an evidence session at Holyrood in June 2015. 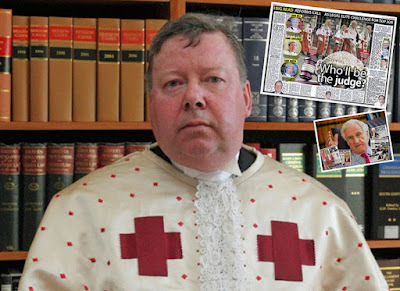 Lord Carloway installed as Scotland’s new top judge. SCOTLAND has a new top judge today as Lord Carloway was formally installed in a ceremony this morning at Parliament House as the new Lord President & Lord Justice General of the Court of Session. 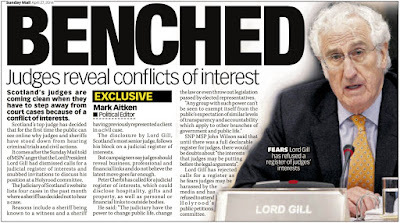 The post of Lord President – who is paid £220,655 a year - lay vacant for an unprecedented seven months after Lord Carloway’s predecessor in the job - Lord Brian Gill unexpectedly walked out of the top judicial post in May 2015 – giving only 30 days notice he intended to quit. Lord Carloway’s confirmation as Lord President was reported in further detail, here: Lord Carloway appointed as Scotland’s Lord President & Lord Justice General of the Court of Session. 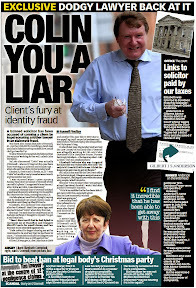 Lord Carloway – real name Colin Sutherland - is known for his backing for the Scottish Government’s failed plan to remove corroboration from Scots law. 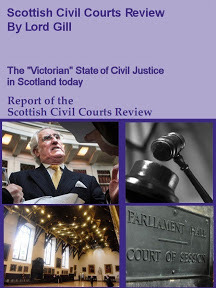 While in the role of Lord Justice Clerk, Lord Carloway authored the Carloway Review Report & Recommendations 2011 – which backed a joint effort by Scottish Ministers and the Crown Office to remove the centuries old safeguard against wrongful convictions requiring evidence in criminal trials to be corroborated from two independent sources. 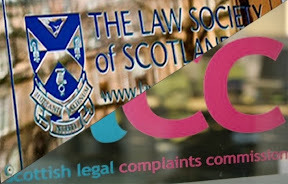 The Carloway Review and it’s recommendation to abolish corroboration - was opposed by members of the judiciary in their Response by the Senators of the College of Justice to SG consultation : Reforming Scots Criminal Law & Practice. 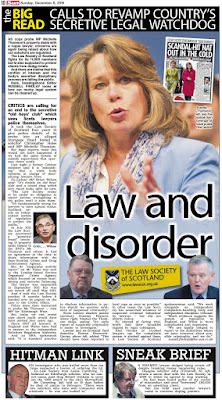 Meanwhile, a new appeal court has been set up to examine disputed civil cases from Scotland's sheriff courts. The new Civil Sheriff Appeal Court will hear appeals on civil cases from local courts which are typically less serious than those escalated to the Court of Session. 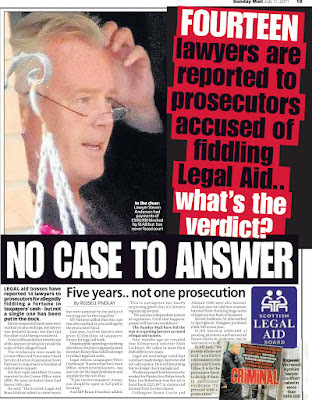 The Criminal Sheriff Appeal Court – created last year has already fallen foul of the legal profession after solicitors vowed to boycott it over levels of legal aid fees. Commenting on the changes, Community safety and legal affairs minister Paul Wheelhouse – who previously mislead a Holyrood Committee with back pocket briefing notes aiming to help the previous Lord President conceal judges links to business and judicial financial & property empires, said the changes would help "reduce unnecessary delays". A few words. First, I wish to thank my own colleagues and all the staff for their support over the last 7 months or so whilst the appointment process was taking place. This was an invaluable resource during a period of some uncertainty. Secondly, I wish to thank all who have taken the time to write to me with words of encouragement and wisdom. I will reply to all of them over time. Thirdly, I wish to thank everyone here for taking the time to attend this ceremony. This is not the time or place for prolonged analysis of the challenges which the courts face as we commence another New Year. It is after all a business day and some of what I am going to say has been said before. I should, however, say something about what is being addressed and with what priority. 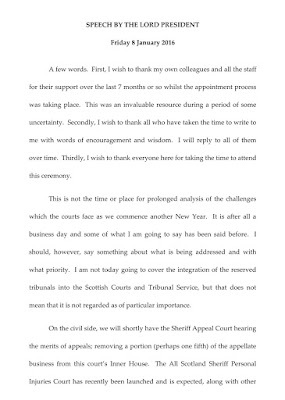 I am not today going to cover the integration of the reserved tribunals into the Scottish Courts and Tribunal Service, but that does not mean that it is not regarded as of particular importance. On the civil side, we will shortly have the Sheriff Appeal Court hearing the merits of appeals; removing a portion (perhaps one fifth) of the appellate business from this court's Inner House. The All Scotland Sheriff Personal Injuries Court has recently been launched and is expected, along with other sheriff courts operating in the post new privative jurisdiction limit, to absorb the bulk of the PI work traditionally channelled through this court's Outer House. We await statistical information on the practical effect of these major pillars of Lord Gill's reforms. It will undoubtedly produce a rebalancing of civil work which ought to see the Court of Session engaged primarily in cases appropriate to the supreme courts in Scotland. In due course, consideration may require to be given to the size of the Divisions and the work of the appellate judges according to the change in business volumes. We await too the impact of the new provisions: for leave to proceed with judicial review petitions, to appeal generally to the Inner House; and to proceed to the United Kingdom Supreme Court. The UK Supreme Court provisions should ensure that only significant matters of law, rather than fact, and then only ones of general public importance, will be considered by that court. That will be something into which that court will have a decisive input. Again, however, a rebalancing will undoubtedly occur, which will hopefully ensure that each case will ultimately be considered at, but only at, the appropriate judicial level. There will be continued work to increase accessibility to the courts, including the Court of Session. This will involve a determined drive towards more sustainable procedures with the introduction in the near future of what will in effect be the electronic process. There will be efforts focused on the time taken not for a case to be heard in court, but for a decision to be issued. The problem area here is primarily the Outer House, but in that context it applies across the board in ordinary, commercial and family actions. The solution requires careful consideration of the allocation of judicial reading, hearing and writing time; a fine balance which, after many years of experimentation, we have not yet succeeded in securing. Accessibility at sheriff court level is also a priority. The untiring Rules Rewrite team, to which we continue to owe a deep gratitude, have been producing a vast series of new rules in a variety of different fields. The effectiveness of the new Simple Procedure Rules will be the touchstone of our success in this difficult area, which affects so many in terms of relatively low value, often consumer related, claims by private individuals. On the criminal side, there are, as Donald Rumsfeld said, known unknowns. 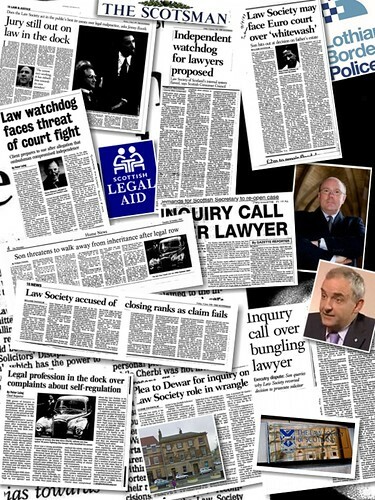 What we do know is that over the last 4 years or so there has been a 60% increase in the number of High Court trials. Numerically this means that, within broadly the same budget, we are dealing annually with 160 more trials, each of which takes an average of 6 to 7 days, than we were processing in 2010. This is a significant challenge. 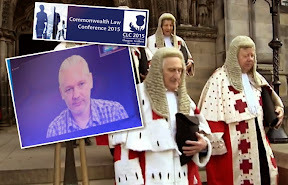 The known unknown is that, other than anecdotal reasoning concerning the subject-matter of the modern High Court prosecution, the underlying cause of this - and it exists at sheriff solemn level too - is uncertain. We await the coming of the new Criminal Justice Act with the Bowen Reforms on sheriff and jury trials. This will bring sheriff and jury practice into line with the High Court. There has been concern expressed about the extension of time limits, not for the Crown bringing cases into court at a first diet or preliminary hearing, but thereafter for the court to allocate the case for trial within the current programming constraints. 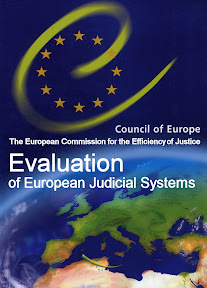 The issue for the future will be whether, in the era of statutory disclosure, scientific analysis of DNA findings and the recovery and detailed scrutiny of text and email messaging, the narrow window allowed by statute for the commencement of a trial is sustainable or in accord with modern principles of fairness or justice. 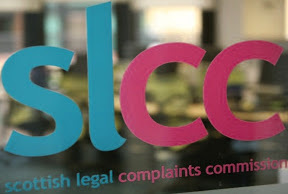 The recent Audit Scotland report on summary prosecutions threw up some interesting statistics including levels of churn and the substantial costs of the late resolution of cases. These will all be addressed. 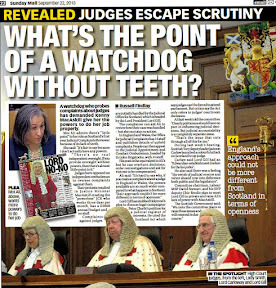 The Scottish Courts and Tribunal Service will shortly be in a position to complete its review on evidence and procedure with a view to asking the Government to consider reforms, some of a radical nature, to the way in which we conduct trials and, in particular, the requirement for all witnesses to attend court and testify on oath, even if their evidence is either not controversial or not to be challenged. The continued efficacy of the now almost eviscerated prohibition of hearsay will require re-examination in light of modern technological advances. 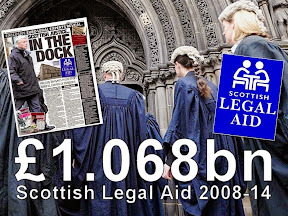 We can only have a successful Scottish Legal System if we all participate in its constant re-evaluation. This does not mean that we all require to agree on the best way forward. We will never achieve that level of perfect harmony in Parliament House. If we can all, however, engage in discussing where the problems lie and attempt to devise practical solutions for them, the system will begin to match public expectations in the 21st Century. I look forward to working with everyone willing to do so in achieving that end. Thank you once again for coming this morning. The court will now adjourn. 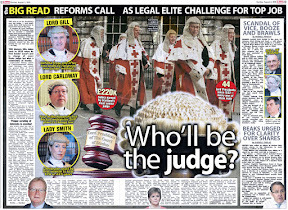 On his appointment as Lord President, Lord Carloway is to be asked to give evidence to the Scottish Parliament’s Public Petitions Committee in connection with three year probe on proposals to require judges to register their interests, as called for in Petition PE1458: Register of Interests for members of Scotland's judiciary. 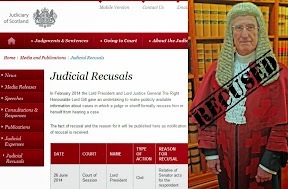 The petition calls for the creation of a publicly available register of judicial interests containing information on judges backgrounds, their personal wealth, undeclared earnings, business & family connections inside & outside of the legal profession, offshore investments, hospitality, details on recusals and other information routinely lodged in registers of interest across all walks of public life in the UK and around the world. 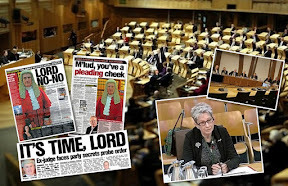 The proposal to require judges to declare their interests enjoys cross party support, and was widely backed by MSPs during a full debate in the Scottish Parliament’s main chamber on 9 October 2014 - reported in full with video footage of MSPs and Scottish Ministers speaking during the Holyrood debate, here: Debating the Judges.